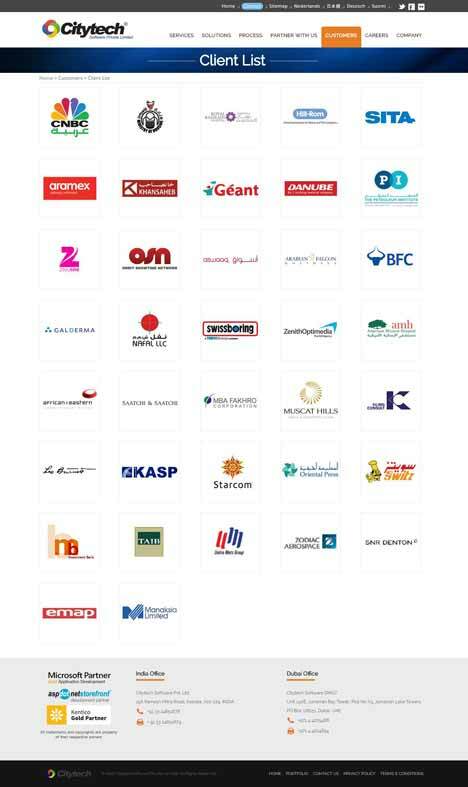 During the development and delivery of over 300+ sites, Citytech think tank realized that there is tremendous need and interest in ASPDNSF add-ons for specific uses among customers. 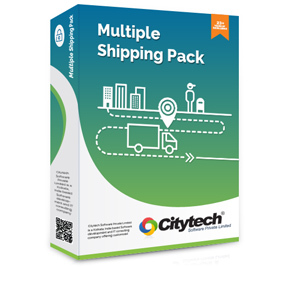 Responding to this market demand, Citytech with its foresight has seized the opportunity and are bringing out top quality ASPDNSF add-ons to serve some most needed functionality and utility. Here are few of our AspDotNetStorefront add-ons. Convenience for your customers should be a paramount priority for any eCommerce retailer. That’s where Multiple Ship-To functionality comes in. Out of the box, with little setup, you can help avoid the frustration that can occur when a customer is shopping for multiple people at one time. Instead of forcing them to place multiple orders, they can quickly and easily ship to multiple addresses in one order. This can be especially useful around the holidays, when more and more people are doing their primary holiday gift shopping online. Supports all ASPDNSF shipping methods and shipping cost calculations. Specification: Works well with AspDotNetStorefront version 10. No special requirements. Installation: Simple to install module provided in a zip with easy to follow installation instructions. Installation by Citytech available as an option. The gift registry module allows customers to create gift registry for wedding, birthday, baby gift registry or other events on your store. After adding information about gift registry, customer can add items in your store to his gift registry. Customer can email to friends and relatives who can follows links and buy gifts for gift registry’s owner. This plugin can send notification email about the gift orders. Allow your customers to create gift registry for wedding, birthday, baby gift registry and other events on your store. Easy to manage/edit Gift Registry page. 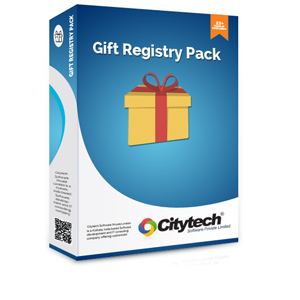 Ability to delete Gift registry items from admin panel. Ability to send notification email after a gift giver buys products from gift registry. 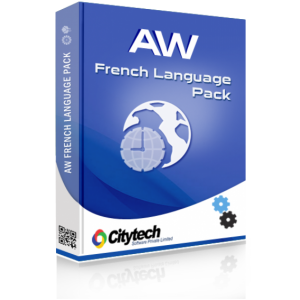 AW French language pack will help you to make your site multilingual with an additional French language. Installation is very easy and user friendly. The French Language Pack is designed for use in a global market. There is capacity in the shopping cart for infinite “locales” (country settings) and merchants begin, more and more frequently, to understand the value in allowing multi-national and multi-cultural shoppers to feel comfortable by offering the ability to shop in their own language. As a merchant, you have the ability to manage your own products in a multi-lingual way (each product description, for example, can be stored once for each language) – but you also want the “out of box” phrases to be translated. Every call to action, every screen prompt, every error message should be translated. Believe it or not, front end and back end combined, there are over 29,000 stored elements that need to be converted! So, we have helped out – our French Language Pack has been translated by hand by a native French speaker, so we can trust to the fluency. Purchase the French language pack and turn on global success. If you are a merchant living and working outside of North America, you will also appreciate that the admin console, too, can be translated with this language pack. 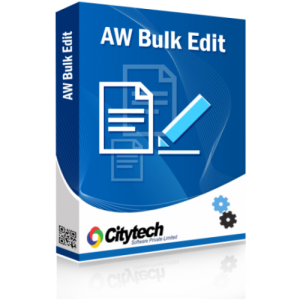 AW Bulk Edit makes it easy to update huge data of product and pricing as well as insert new product with multiple entity mapping in an easy and effortless process. Users can export all product/pricing data from the database to an Excel file in single click. After changed in this excel file user can upload the data by a single click to the system directly. This makes effect all changes in database so that user can get the latest one. For new product you get a blank excel file. If you want you can easily configure the excel columns. This tool already configured with basic configuration to start with minimum effort. AW Backup is an add-on of AspDotNetStorefront. This add-on makes it easy to manage the database backups. Admin user can take the database backup in a single click and download the backup file if needed.